Home › 100% Natural Boar Bristle Hair Styling Brush -Classic Looking Oval Shaped Bes..
100% Natural Boar Bristle Hair Styling Brush -Classic Looking Oval Shaped Bes..
100% Natural Boar Bristle Hair Styling Brush -Classic Looking, Oval Shaped, Best Used for Short or Long Hair, Beards, Fades and Pompadors, - Soft Bristles-professional Salon Quality- For Men and Women- Light Weight- Canadian Design. Buy Now, Lifetime Guarantee. TIRED OF POOR QUALITY HAIR BRUSHES? 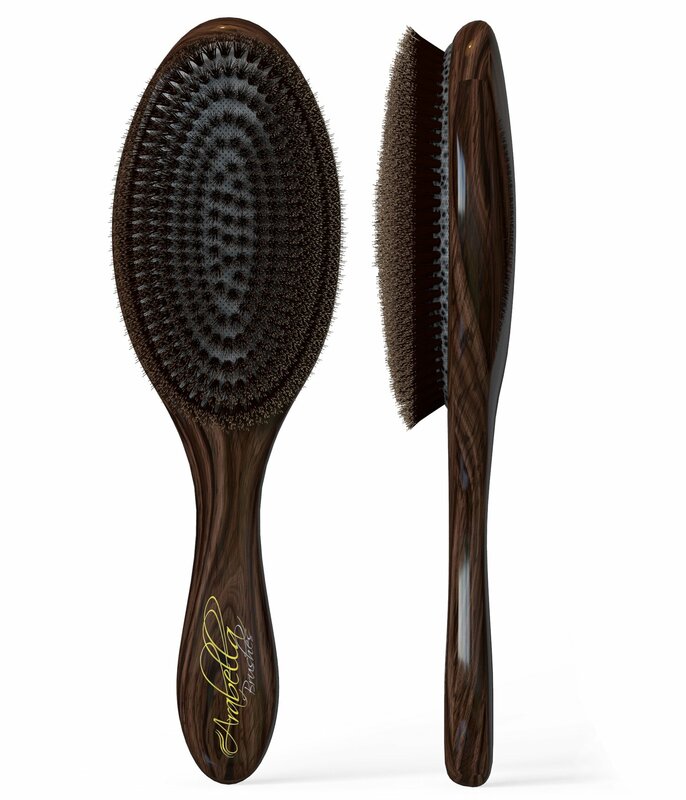 HERE ARE 5 REASONS WHY THE ARABELLA BOAR BRISTLE HAIR BRUSH WILL MAKE YOUR HAIR BEAUTIFUL 1. 100% Soft Boar Bristle Hair; No Plastic Bristles 2.Highest Quality Materials Used 3.Lightweight Schima Wood Finished Handle 4.Bristles Do Not Fall Out After Repetitive Use 5.Does Not Scratch your Scalp EIGHT BENEFITS TO BUYING THE ARABELLA BOAR BRISTLE HAIR BRUSH: 1.Naturally Conditions Hair 2. Adds Gloss and Shine to your Hair 3. Improves Hair Texture 4. Reduces Frizz 5. Stimulates the Scalp 6. Redistributes Natural Oils Throughout Hair 7. Reduces Washing Frequency 8. The ONLY Boar Bristle Brush with a LIFETIME, NO HASSLE, 100% MONEY BACKGUARANTEE WHY DEPRIVE YOURSELF? Click the BUY NOW button to Purchase ARABELLA's BOAR BRISTLE BRUSH and Experience the BENEFITS for YOURSELF TODAY.